This pharmaceutical sales training is an absolute must for any team selling in this sector and it will provide an excellent return on investment in terms of improved performance. Delegates will develop their approach and their selling skills during the two days and will leave with a tool kit of techniques to implement in the work place. This programme will address the specific challenges of selling to the NHS and to private healthcare. It is an interactive programme. 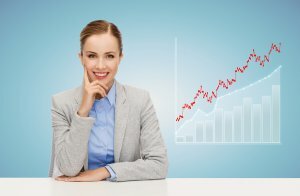 The tutor will build on the experiences of your delegates and the key points will be reinforced with a series individual and syndicate exercises to ensure that they build their portfolio of techniques relative to their own situation. The programme will review each step of the selling process in respect of the pharmaceutical industry. Delegates will consider the challenges and the options available to achieve success. The sessions will include a number of interactive exercises to develop delegate skills and to provide a tool kit that they can use when out in the field selling pharmaceutical products and solutions to customers. The tutor will provide support and guidance as appropriate to ensure the development of effective techniques. Delegates will also have the chance to exchange ideas to form best practice. Time will be devoted during the training to developing delegates' approach for appointment making, cold calling as well as “drop-ins” or “spec calls.” Delegates will specifically consider their proposition and how to present it in the most effective way to gain commitment and close more orders. Delegates will also consider the challenges and techniques for dealing with procurement to achieve positive outcomes and profitable business. In summary this course will make a positive enhancement to your team’s knowledge and skills to help them become even more effective. Development training is an excellent way to gain a competitive advantage against the competition to improve sales performance. Please call 01608 644144 or use the enquiry form to book this course.